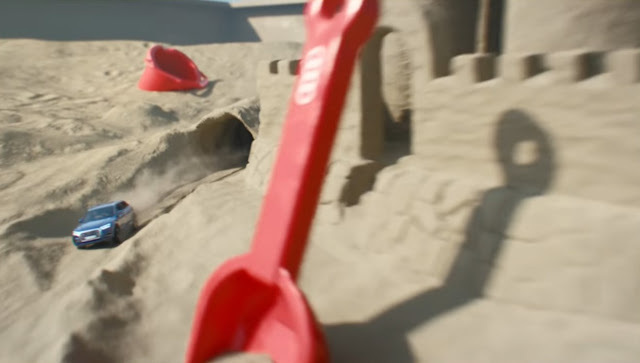 Audi Enter Sandbox - virtual reality Audi Q5 test drives! Audi Norway have unveiled the Audi VR Sandbox virtual reality test drives. The Audi 'Enter Sandbox' project allows people to use Virtual Reality to test drive Audi Q5 on a track that they have designed! First, people are given the chance to build a track in a sand box, it is then scanned and played back in a real-time VR experience using Oculus Rift.